This stunning 1760 sqft, 3 BR/2 bath, 1st floor condo is located on the 9th fairway of Bonita National. 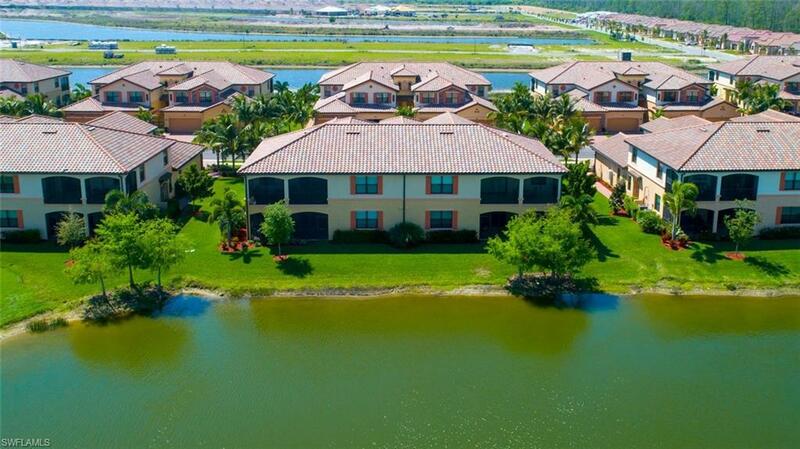 The oversized lanai offers beautiful views of the golf course, lake, and preserve surrounding the development. The lanai has porcelain wood plank flooring, upgraded screens, custom solar shades and ceiling fans. Perfect for entertaining or watching the wildlife! The spacious living area offers crown molding, custom window treatments and recessed lighting, and flows right into a kitchen that has SS appliances, granite counters, under cabinet lighting, ample storage and a dining nook. Youll love the master BR, boasting lanai access, a private ensuite w/ dual sinks, large walk in shower w/ custom glass door, and a separate soaking tub. Porcelain wood plank tile has been installed in all bedrooms - no carpeting! - and plantation shutters have been installed throughout. This home is better than new w/ all these upgrades! Bonita National offers active living, w/ amenities that include a gym, sauna, community pool/spa, satellite pools, club house dining, and a poolside restaurant. Minutes from SWFLs most desirable beaches and shopping!